SIX:02 in 1400 Willowbrook Blvd Wayne, NJ | Work Out. Go Out. Hang Out. Join Style Perks to receive exclusive savings, surprise offers, access to events, a birthday treat, and so much more! It’s free and easy to join. After signing up you’ll receive $10 off your first purchase of $50 or more. Join now and be part of our amazing Style Perks Squad! From coveted sneakers to trending leggings, bras, tops, and everything in between, you’ll love our lineup of best sellers. Find the perfect pieces to complement your look and get ready to treat the street as your personal runway. Hello new! From the hottest collections to the newest collaborations, we’re always on top of the latest fashions. Shop our curation of new arrivals across a variety of athletic-inspired brands. From apparel to outerwear, footwear, and accessories, we’re always keeping an eye out for the latest. Always be the first to know about the newest sneakers from Nike, PUMA, adidas Originals, and more. Our calendar will keep you up to date, so you can ensure your style game is one step ahead. Check in often to plan for upcoming releases. 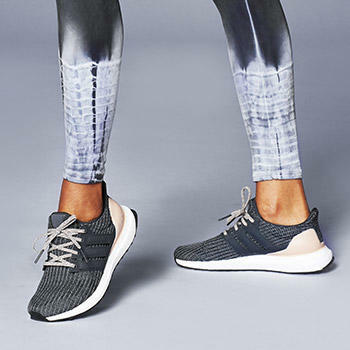 SIX:02 is a fashion fitness boutique designed to offer women athletic-inspired styles through a curated point of view, across a variety of brands. 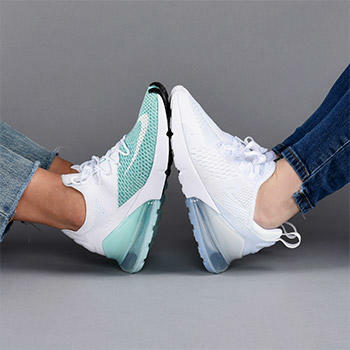 We celebrate the unique fusion where sneaker culture collides with the runway and where a workout or night out are equal excuses for clothing, footwear, and accessories that look and feel great. Our sneakers give us confidence no heel height could ever equal. We represent the daring and inspired, the trend worshippers, and the workout experimentalists. We believe in fashion, sweat therapy, and practicing artful self-expression 24/7. ©2017 SIX:02. All rights reserved.